Exercise Physiology in Melbourne with an accredited exercise physiologist (AEP). Accreditation as an exercise physiologist is the mark of an experienced and qualified health professional. 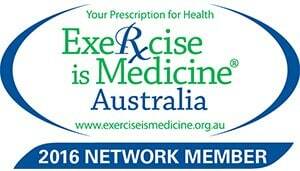 What can our Accredited Exercise Physiologists help you with? Exercise Physiology is the study of the human body and its biological and physical response to exercise and nutritional changes. Exercise Physiologists at Moonee Valley Health and Fitness have not only completed a 3 year Exercise Science degree (like many of our Personal Trainers) but also hold a Masters qualification in Exercise Physiology and Exercise Rehabilitation. This means our Exercise Physiologists can service a large range of clients that have specific health issues that need an intrinsic and detailed knowledge of the human body. Moonee Valley Health and Fitness has a private treatment and exercise studio in Melbourne and employs only the finest Masters in Exercise Rehabilitation graduates that work in Melbourne. We treat each patient as an individual, assessing their condition and how it impacts all aspects of their life. We are guided by the latest developments in evidence-based practice and we are committed to the continuing education of our employees through recognised and respected professional development programs. We welcome opportunities to collaborate with other treating practitioners and particularly enjoy the challenge of helping patients suffering from more than one condition or injury. Finding an accredited exercise physiologist to help me? Exercise physiologists hold a four year equivalent university degree and are allied health professionals who specialise in the delivery of exercise, lifestyle and behavior modification programs for the prevention and management of chronic diseases and injuries. Our exercise physiologists provide physical activity and behavior change support for a whole range of clients with conditions such as cardiovascular disease, diabetes, osteoporosis, mental health problems, cancer, arthritis, chronic obstructive pulmonary disease and many more. 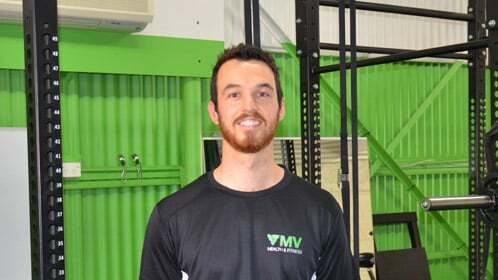 At Moonee Valley Health and Fitness, we not only have a team of university qualified exercise scientists who work in our personal training studio, we also have trainers who are exercise physiologists in Ascot Vale, VIC. Our experienced and skilful EP’s at Moonee Valley Health and Fitness achieve the best results possible for our clients by adopting a holistic approach to rehabilitation. Your EP will combine clinical exercise prescription with appropriate lifestyle advice to help you regain your quality of life and have you back doing the things you love. 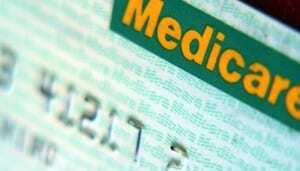 *Exercise Physiology consultations and sessions are claimable through MEDICARE and may be covered by your Private Health Insurer. Ask us for details or contact your provider. AEP’s also provide training in safe manual handling; perform functional assessments; carry out submaximal and maximal fitness tests; perform body composition tests and musculoskeletal assessments and provide lifestyle education to help people manage their health conditions. In Australia the health of the population worsens everyday and with the increasing percentage of the population constantly destroying their bodies with unnecessary lifestyle habits, AEP’s have become an important cog in the longevity of the quality of life for a human being. Accredited Exercise Physiologists are recognised as allied health professionals and are eligible to register with Medicare Australia, Department of Veteran Affairs, WorkCover and have recognition among a number of health insurers. In addition our AEP’s display diverse range of skills, working across a variety of areas in the health and exercise sport science fields. 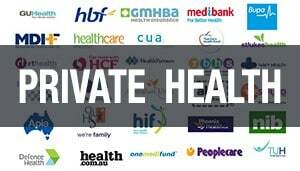 As a specialist in this field, our AEP’s work in a number of areas such as public and private hospitals, primary healthcare within private or multidisciplinary clinics, population health, workplace health, workplace rehabilitation and aged care. Our aim is to prevent or manage chronic disease or injury and assist in restoring your physical function, health and wellness. An initial consultation with one of our exercise physiologists will generally be split into two parts – a subjective assessment where all relevant medical information and specific goals you have are established so the AEP can assist improve health or rehabilitate injury and the second part is an objective assessment whereby functional capabilities, movement patterns and current levels of fitness and strength are established. This initial consultation will allow your AEP to create an appropriate and achievable exercise program and lifestyle intervention. The aims of our AEP interventions are to prevent or manage chronic disease or injury, and assist in restoring your optimal physical function, health and wellness. 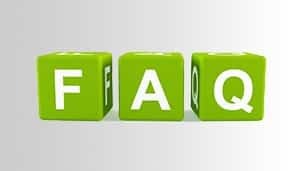 Following this initial appointment, additional follow up sessions may be required (especially in the initial stages) to monitor the exercise program and to ensure it is being performed correctly as well as to address any concerns you may have about your program. Despite many other AEP’s working mainly in clinical settings and having only experience in those specific settings, our AEP’s also have sports training and occupational/workplace rehab backgrounds. Not only will we provide programs from a clinical stand point that will develop exercises that meet your specific medical diagnosed medical condition, but if you are looking for more intense exercises programs focused on developing certain fitness levels for a number of different sports including (AFL, soccer, Rugby, Netball, Tennis) than that can definitely be achieved. Our AEP’s are all about safety when it comes to performing exercises. You will get correct technique with every exercise you undertake and more importantly know and learn to engage your 4 deep core muscles during all exercises; which will help you with every movement that you perform on a daily basis. Knowledge, motivation, self-confidence, strength and fitness are just some of the characteristics that you will acquire when you are trained with our AEP. Ever wanted to train with someone that will not only push you to your limits and beyond, but is able to connect with you in a professional and respected manner that allows you to enjoy your training and reach the goals that you so desperately want to achieve? Then having our Accredited Exercise Physiologist as your trainer is the ideal path.